The trailer is hooked up to running water, however it features a waterless composting toilet from Separett. In the winter, there is on-demand hot water for luxurious bathing. 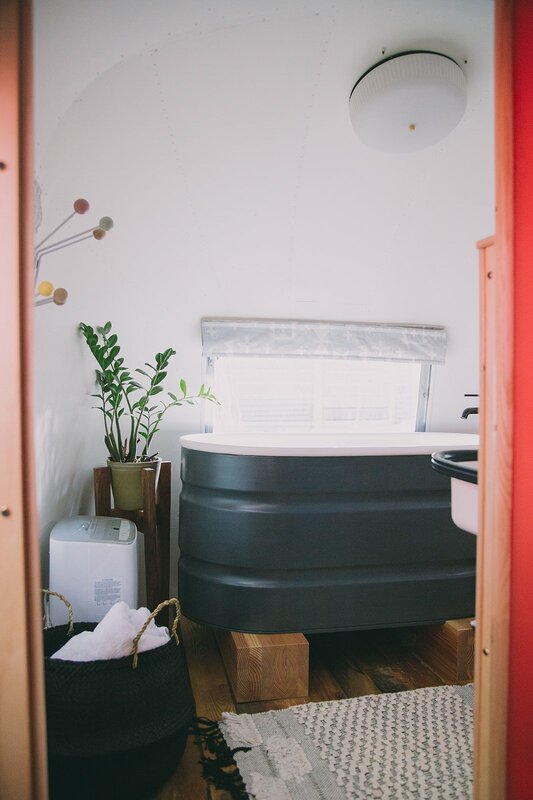 The deep, repurposed stock tank tub is one of the couple's favorite things about the renovation.